That's exactly how much money Donald Trump says he received for hosting "The Apprentice" on NBC for 13 years. Trump shared the eye-popping dollar figure in a press release about his financial disclosure forms on Wednesday, which claimed he was worth $10 billion. An NBC spokeswoman said no one from the network was immediately able to verify Trump's assertion. There was some immediate skepticism in the television business about Trump's disclosure. But there's no doubt that the billionaire was well-compensated for his hosting duties. The stars of high-profile reality television shows can make millions of dollars per season, particularly when the shows are proven hits that have aired for multiple seasons. "During the 14 seasons of The Apprentice, Mr. Trump was paid $213,606,575," Trump's campaign said. That's an average of $15.2 million per season -- a startlingly high total. It is unclear whether Trump has an ownership stake in the show. If he does, that would help explain the total. NBC recently affirmed that Trump does not control the "Apprentice" franchise outright -- a production company owned by Mark Burnett does. 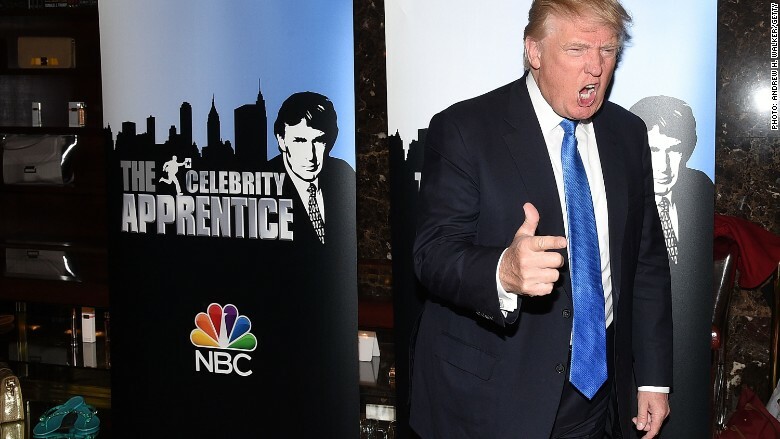 When NBC parted ways with Trump last month, a network statement said, "'Celebrity Apprentice' is licensed from Mark Burnett's United Artists Media Group and that relationship will continue." Trump's harsh remarks about immigrants in his presidential campaign launch speech contributed to the network's decision to sever ties with him. The network had already renewed "Apprentice" for a 15th season, and it is currently brainstorming about possible Trump replacements for the show. In the press release on Wednesday, Trump reiterated what he has said before: that he "decided to turn them down in order to run for President of the United States." The campaign added, "NBC was not happy."